When you’re scheduled for tooth extraction to preserve your oral health, you need immediate dentures. Patrick Carbone, an expert denturist with more than 30 years’ experience, provides you with immediate dentures at Lilly Denture Center in Olympia, Washington. If you live in the Olympia area and need immediate dentures after oral surgery, contact Patrick and his team by phone for a same-day appointment. Why should I get immediate dentures? If you’re scheduled for a total extraction, you should come to Lilly Denture Center first, so that Patrick can make impressions of your present teeth. He creates immediate dentures and then we will help you schedule an appointment and find the best dental provider or oral surgeon to do your extractions. 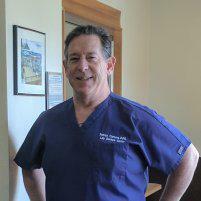 Here at Lilly Denture Center we surround ourselves with the best dentists in Olympia and Lacey, Washington. Once the dentures are made we will bring the dentures to the dental office or oral surgeon and the teeth will be extracted and the dentures will be immediately placed in the same day. Leaving your gums with spaces in them due to missing teeth can cause trouble for your other teeth, your jaw, and your digestive system. Immediate dentures protect your gums and help you feel more confident in your smile. Will my immediate dentures fit well? Since your immediate dentures are made while your teeth are still in place, they’re not a perfect fit after extraction. Patrick lines the immediate dentures with a soft material to facilitate fitting and to keep your oral tissues comfortable as they heal. Will my immediate dentures be hard to adjust to? All dentures have an adjustment period of several months. Since the immediate dentures that protect you during the healing phase are an approximate, not precise, fit, you may have a slightly harder time adjusting to them. Some issues you may encounter are a feeling of a too-full mouth and having too much saliva. These sensations may make it difficult to speak normally. Issues related to the fit of your dentures are relatively minor and should resolve gradually. The most pressing issue might be discomfort when chewing. Discomfort and pain associated with immediate dentures are related more to the sensitivity of your gums after surgery rather than to the dentures themselves. How long do I keep my immediate dentures? Your tissues and gum recede after oral surgery, so as your gums heal, you meet with Patrick for more impressions at regular intervals. If your gums and bone have changed shape and size since your last visit, Patrick relines the base of your dentures, so they fit better. After you heal, Patrick either does a final reline or creates a whole new base for your dentures using the new measurements of your healed gums and bone and your immediate dentures as a guide. He can transfer the teeth from your immediate dentures to the new base. This last stage of the process results in your permanent dentures. Your permanent dentures should last for about three to five years before you need to schedule an appointment for a reline. As soon as you know the date of your tooth extraction, contact Patrick for immediate dentures. You can schedule an appointment online or call his wife, Carol, at Lilly Denture Center for a free consultation.